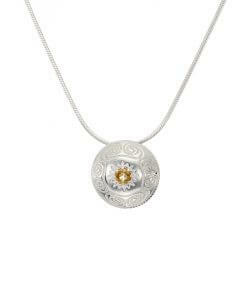 This design is inspired by the sun and its importance to Celtic life. The sun was at the centre of the Celtic year with the year split into two halves, the dark and the light. 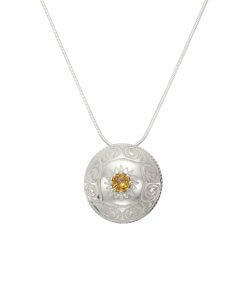 The sun, represented by a golden citrine, bursts from the centre of each piece. The eight spirals in the design symbolise the eight Celtic Festivals: Samhain, Yule, Imbolc, Eostre, Beltaine, Litha, Lughnasa & Mabon. 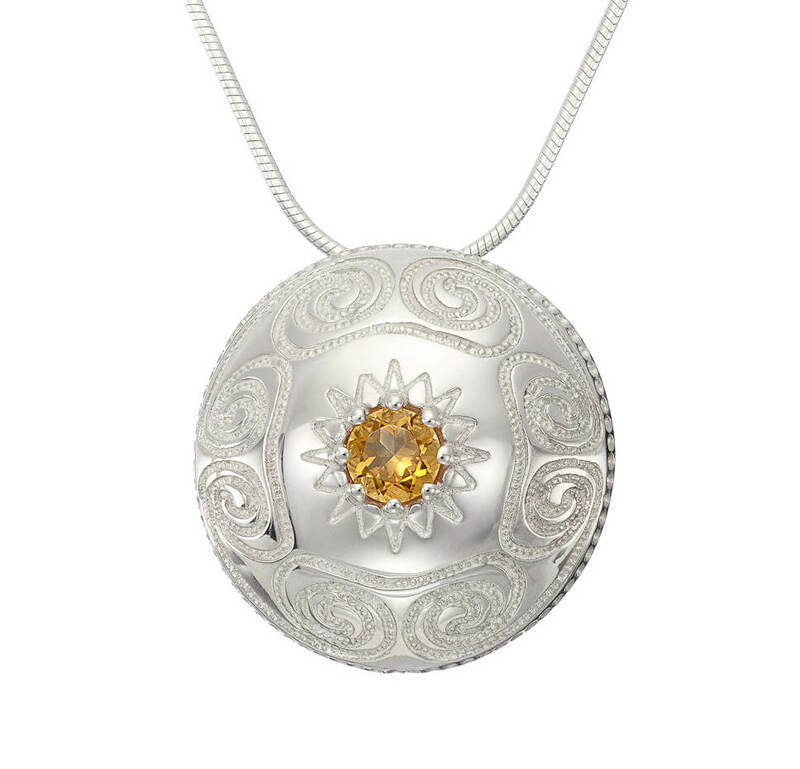 Citrines are said to enhance energy and well-being and this makes it a perfect gemstone to represent the sun. 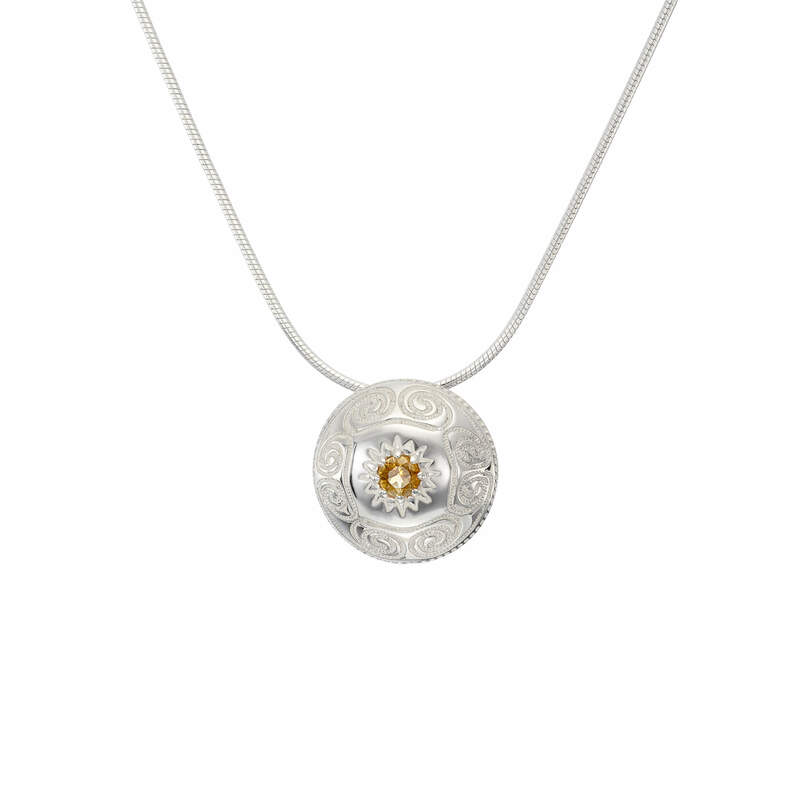 The large pendant measures 25mm in diameter. The small pendant measures 18mm in diameter. 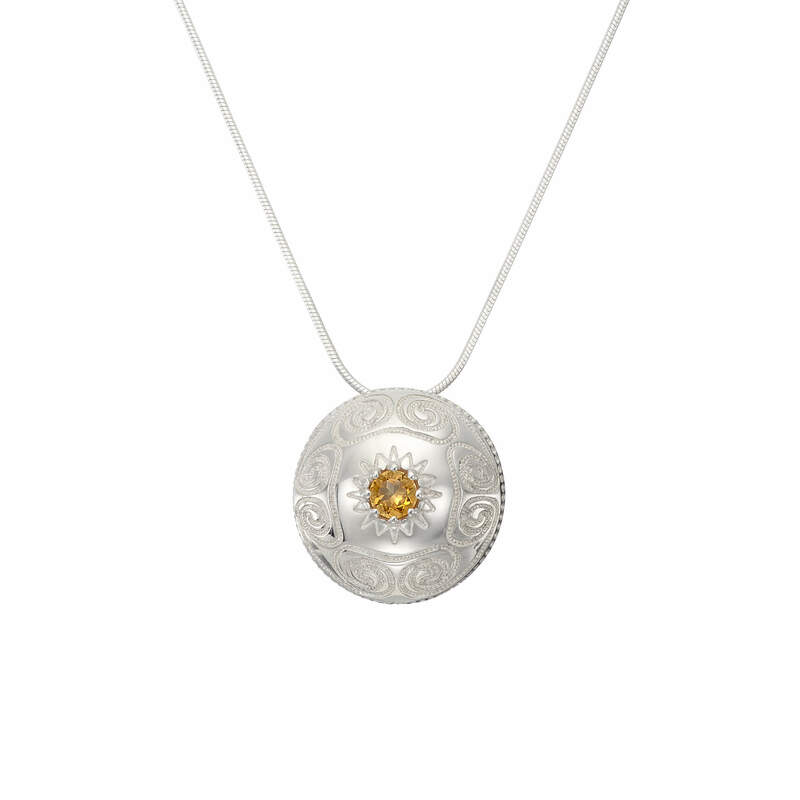 Each pendant is beautifully engraved with 8 spirals that represent the Celtic Year and is set with a golden citrine (6mm in the large pendant and 4mm in the small pendant) . 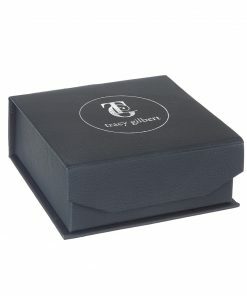 The pendant is completed with an 18 inch sterling silver snake chain. 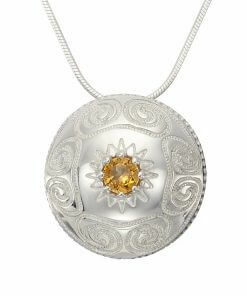 The doming of the piece ensures that it reflects the light beautifully. 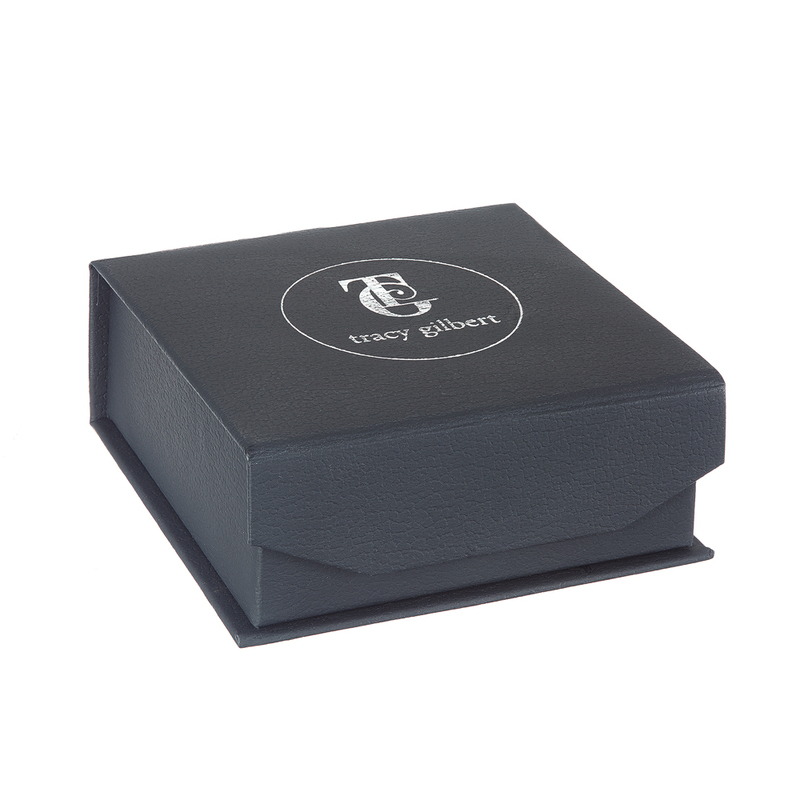 Each piece is meticulously handcrafted in Dublin with love of Irish roots, history and folklore.